Lentils and Rice Plus | Yumtritious Eating! Lentils and rice are a well known yummy and nutritious combination. There are hundreds of recipes for lentils and rice. 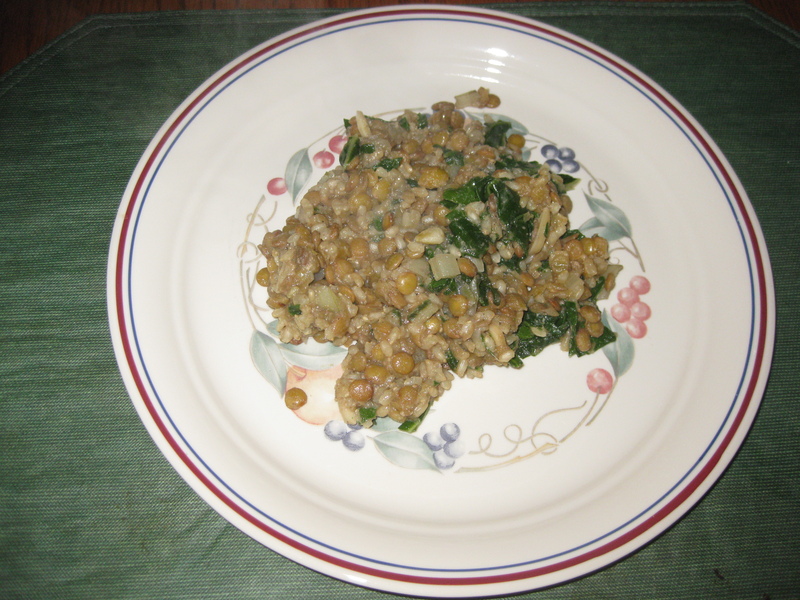 I’m adding this recipe because it ups the nutritional value of the dish and is yummy. Wash the lentils, rice, and chard (separately 🙂 ). You can soak the lentils and rice if you’d like. For chard washing instructions, look at the Food Prep Tips page. Drain them well before using. In a large pot, heat the olive oil and then saute the chopped onion until translucent and starting to brown. Stir in the garlic, and then stir in the cumin. Stir in the lentils, and then add the 4 cups water. Bring to a boil, lower the heat and cover. Cook for 15 minutes. 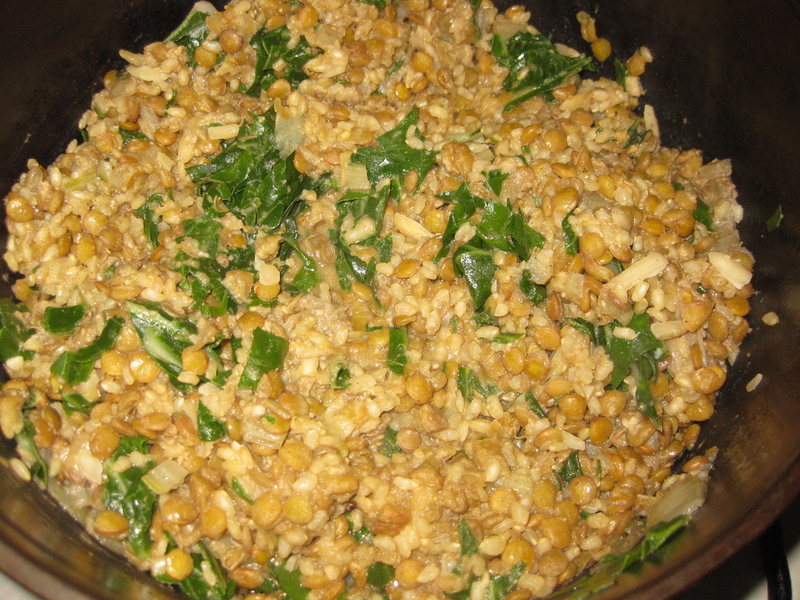 Add the rice, salt, pepper, tahini paste, and chard stalks (not the leaves), then stir well to mix. Bring back to a boil, lower the heat and cover the pot. Uncover the pot. (If the water seems too low, add up to 1/2 cup more.) Pour on the nuts and the chopped chard leaves. Don’t mix. Cover the pot and cook for 10 more minutes.